One reason why Utah County real estate commentators like to offer quizzes is to make readers feel good about how much they know. 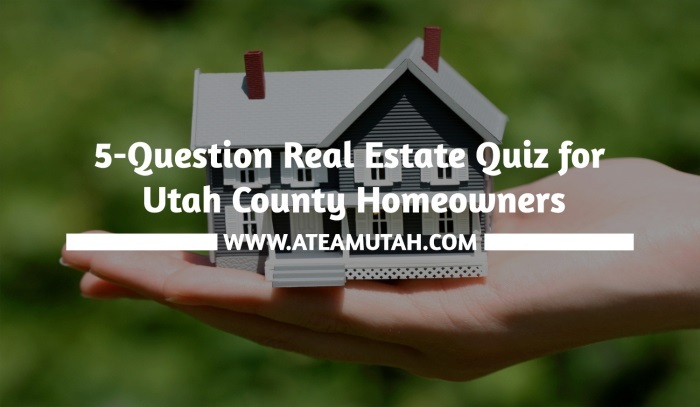 Being that Utah County homeowners probably do more than an average amount of reading about Utah County real estate matters, you would expect that any real estate-themed quiz would succeed in creating that kind of warm, positive experience. Which of these is likely to be worthwhile for a new Utah County homeowner?